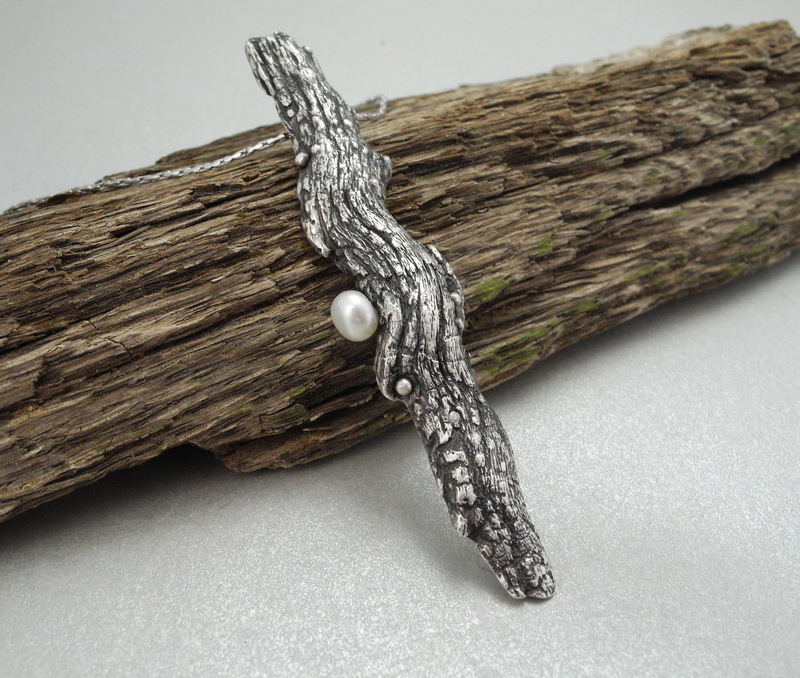 We will create a mold of a piece of funky textured bark and use that as to set up the texture for an organic silver pendant with a touch of elegance. We will attach a hidden bail, fine tune and dry. 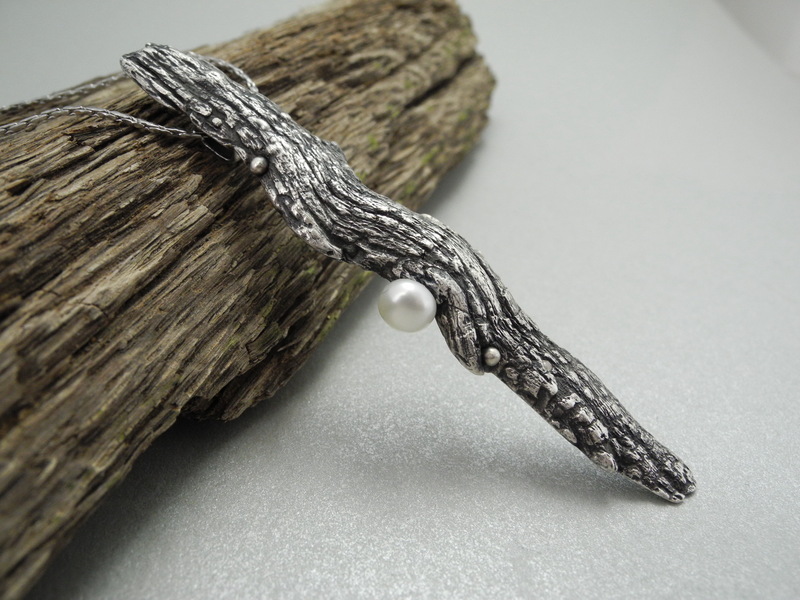 A pearl peg will be added and a little granulation the metal clay way. 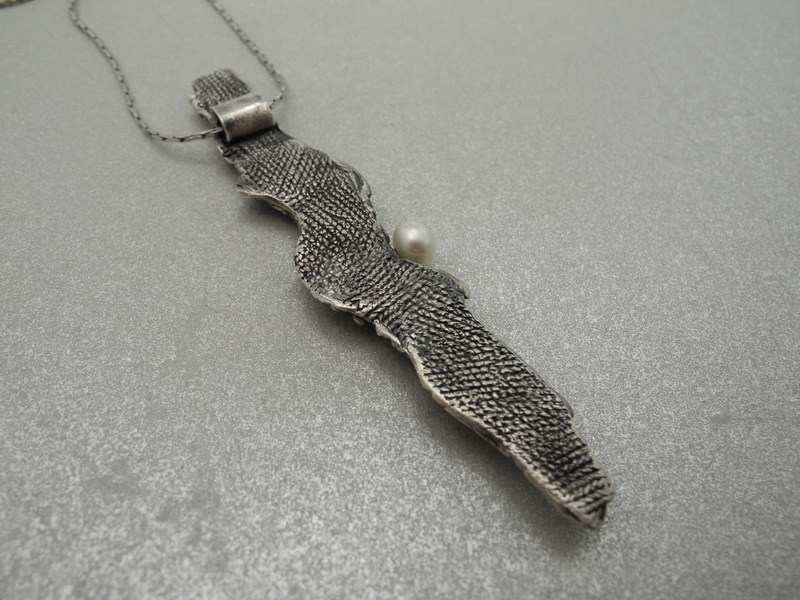 Our piece will kiln fire as we clean up; leaving only polishing, patina, and pearl to finish. Attach your rubber cord and it's ready! There will be a small amount of basic information in class to help you with your project. To get a full background on PMC, you need a full intro workshop. This may help you decide if you want to pursue that. You will learn how to make a reusable mold, measure PMC thickness for your piece, use your mold, build and attach a sturdy hidden bail. An understanding of how a pearl is mounted will serve you in the future. You will also create a small personalization to add to your piece. After firing, we patina, polish, and mount the pearl. There will be assorted metal clay tools to share. I will also have several Dremels and wheels for polishing. If you have one (cordless) bring it and you won't have to share. There will be bark pieces to use or bring your own.